A foreign student who wishes to study in Germany will be required to obtain a German Student Visa. 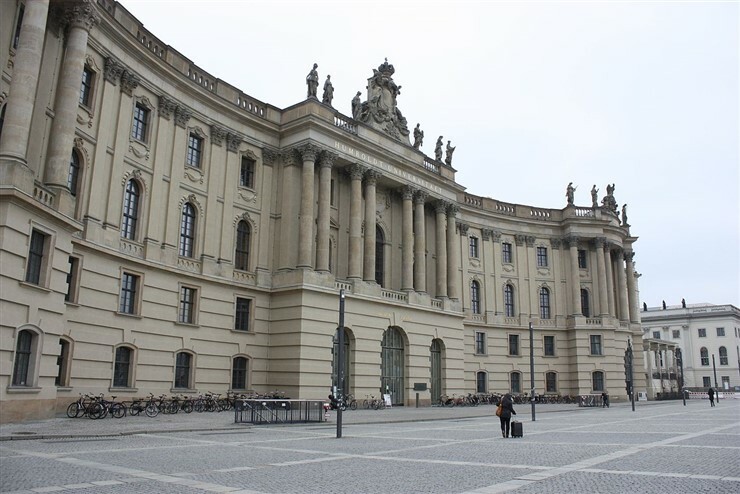 This visa is generally granted to students who have already been accepted for admission by a Germany University. To get a Germany student visa you will have to send all your documents and application to the Immigration Office where you will study in Germany. The Immigration Office will approve your application and then the consulate will issue you a residence permit in the form of visa. You will be required to register upon your first arrival in Germany. Before you apply for a German student visa, check your eligibility for the same. Once you are sure that you are eligible for application, you can go ahead with the application procedure. Please note that you will have to apply at the German Embassy in your country. Except for rare instances, you will have to submit the application along with the required documents in person. The first and foremost step towards applying for a German student visa is to obtain a letter of acceptance from a recognized educational institution. Only after you have received the letter of acceptance, you can proceed further with the student visa application procedure. Find out about the duration of time needed to process a student visa application. This will give you an idea about when to apply so that you can reach Germany to pursue your course on time. You can obtain the application form either by downloading the visa application form from the official website http://www.germany-visa.org/ or by getting it from the German Embassy in your home country. Carefully fill up the visa application form and put your signature on the completed form. Get all the required documents, photocopies of all documents and the visa application fee ready before you proceed further. Please note that the visa application fee is to be made only through a bank transfer. Cheques or Credit cards are not accepted as modes of payment by German embassies. Check the visa photo requirements to be sure that your visa photograph matches the required conditions. You will have to book an appointment before you can go to the Visa Application Centre to submit your documents for a German Visa. All German visa applications are accepted only if the applicant has made prior appointment. Arrive at the Application Centre on time. The officials at the Application Centre will verify your appointment letter and will issue you a token. It is necessary to be on time as the embassy may not be willing to process your visa request if you are late for more than 10 minutes. The submission process generally takes 10 minutes to complete. The officials at the Application Centre will check and verify your documents and visa application form. If the application is complete your passport, application form and documents will be held temporarily by the application centre. Please note that you cannot take the passport during the application process with you. In case you take your passport for any reason, your application will be cancelled and you will be required to re-apply for the visa. After your visa application form is verified, all the information in your visa application will be entered into the online system of the German consulate. You will be provided a printed copy of your application. This process will take around 10 to 15 minutes. Once you get the printed application form, go through the details carefully to make sure that all the information is correct. Sign the printed form. Please note that forms for minors (up to 18 years) have to be signed by both parents. After you pay for the visa you will be issued a receipt. Keep the receipt carefully as you will require it in order to collect your processed application. Once your application is complete, you will be required to provide biometric data. At the application centre biometrics is collected using a quick process that captures a 10-digit fingerprint scan with a digital finger scanner. This will usually take 7-8 minutes to complete. This step marks the end of your visa application process. Your application will be sent for processing to the Consulate on the next working day. Make sure to keep your payment receipt safelyas you will require it to collect your passport. As per the German student Visa Program, foreign students will have to apply for the German student visa from outside the country. You need to remember the following dos and don’ts while applying for German student Visa.